Singer says he had been wishing for a house like this for a long time. 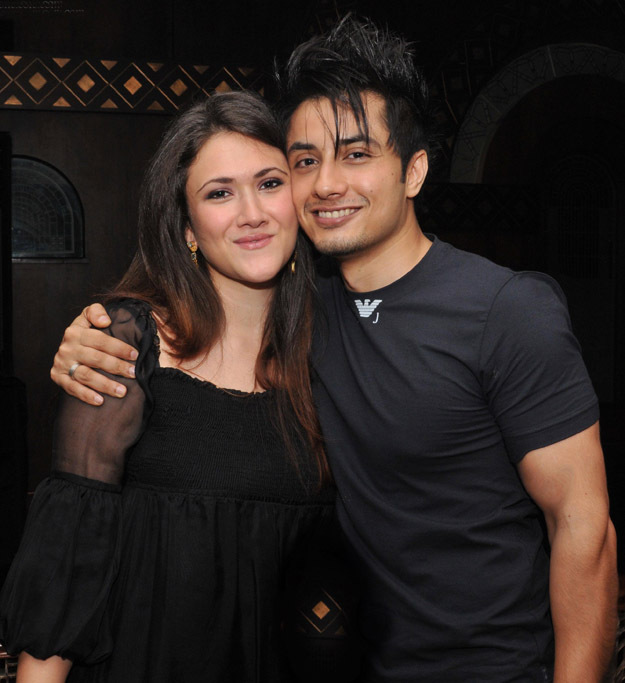 Rockstar Ali Zafar — who is soaring high with his latest stint at Coke Studio 8 — has gifted a four-bedroom villa in Lahore to his wife Ayesha Fazli. “It’s been under construction for over three years. We’ve just moved in a few months back,” he said. “Ayesha was really touched by the gift and has done the interiors herself with a little bit of help from me. 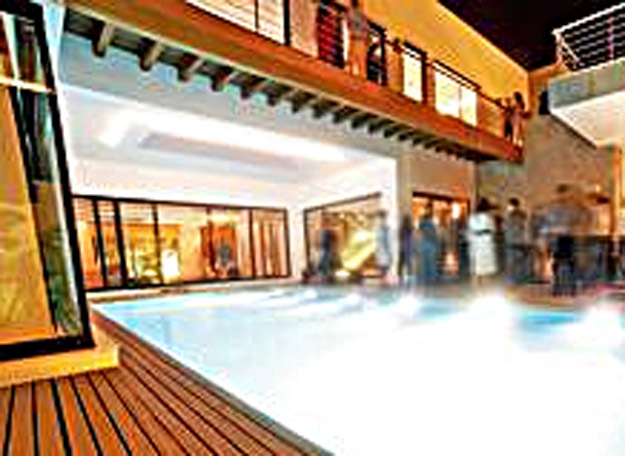 We’ve kept the decor modern, classy and minimal,” he added. What beautiful weather ! Old songs, rain, water and some plants. Life is a miracle. As music runs in his blood, Ali shared that the couple has installed music systems that play all the time. “We have installed music systems which will play all the time,” he said. The basement has also been converted into a recording studio. Upstairs lounge. Come let's jam. 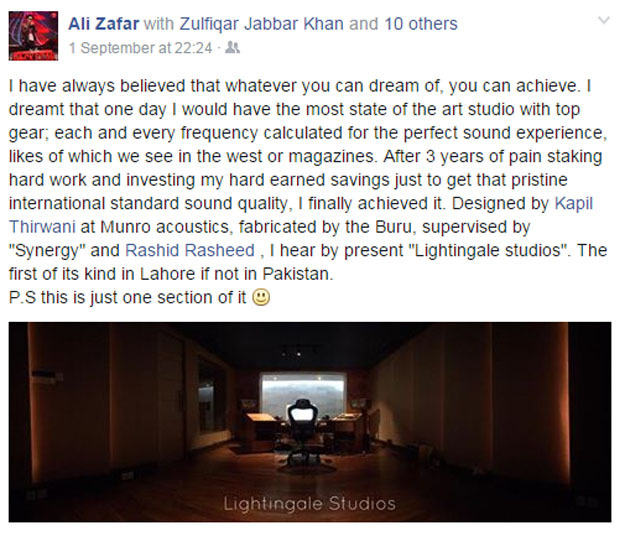 Sharing further details about his house that spreads over 15,000 square feet, Ali revealed that he has always dreamed about it. “I come from a modest background. My parents were professors and we used to live with my grandparents in a small room. So, like everyone else, I have been wishing for a house like this for a long time and been working hard towards it,” he said. That’s an extremely negative thing to say about someone that is filled with jealously. I think other than Nawaz Sharif no one is pure in your view. Why are you so jealous of a celebrity?. Surely this shows you suffer from an inferiority complex. How about saying something about lavish lifestyles of your favorite PML-N politicians.. So much for a baby girl? 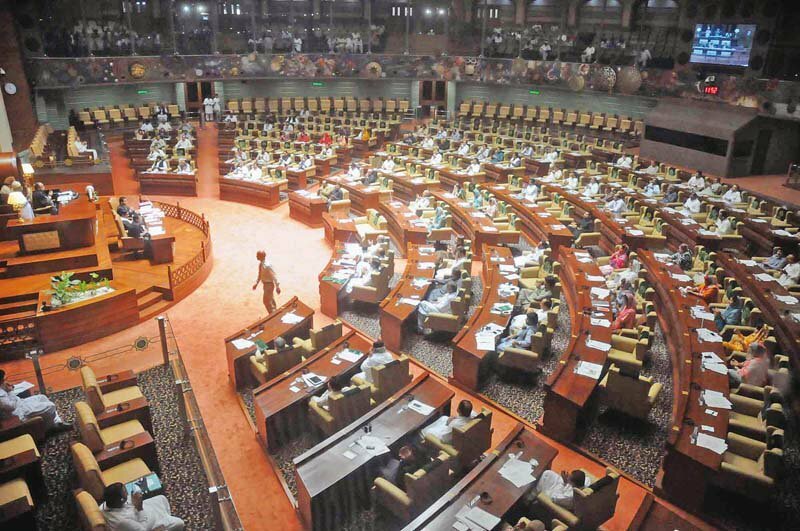 As for bringing politicians into it I know we cant explain who pays for Dharna’s, there is no audit on expenses of private jets and helicopters or even if charity money for cancer hospitals goes into fictitious Omani real estate projects of ‘friends’ we don’t hold out politicians accountable. Nor do we hold them accountable for lying. Whether on Fake Punctures or on the electricity problems that will miraculously go away in ‘our’ tenure to illegitimate children abroad. This is Our Failure as a Nation! Anyway, we Indians’re happy for you Ali. You guys make a lovely couple too. You are a nice human being and always welcome to India. May your tribe increase. 15,000 square feet means roughly 55 marlas means roughly 3 kanals. Not THAT Big compared to many politicians/judges/bureaucrats/army generals luxurious homes. And that too, from legally hard-earned money. Great going Ali.